Gather your trusted knights and arm your mighty soldiers. The kingdom must be safe from the cruel overlord. 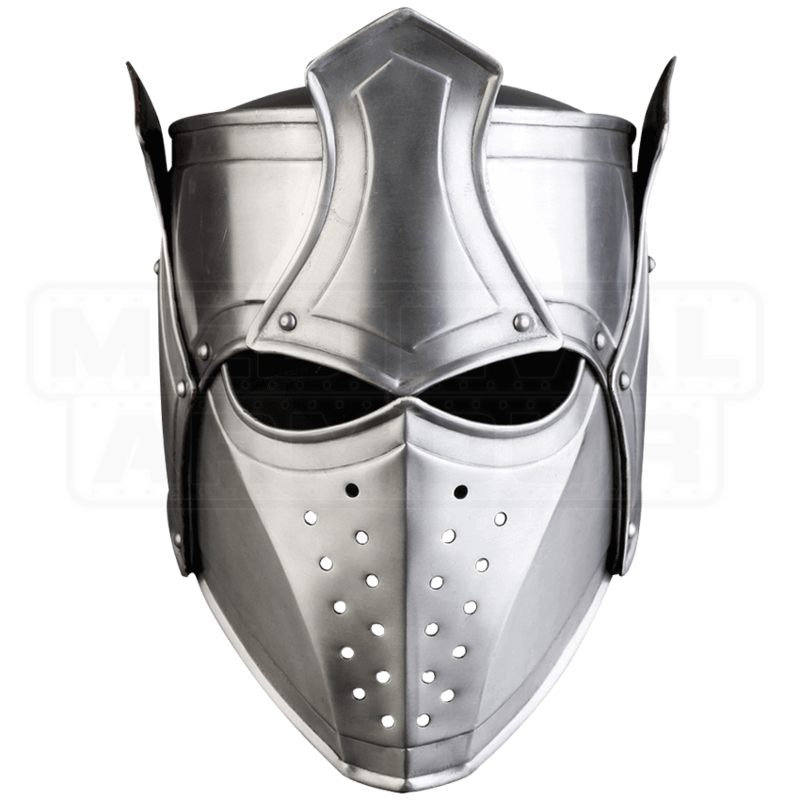 Show the strength of your leadership and reclaim your land with your proud head enclosed in the Kaldor Steel Helmet. The traditional great helm inspired the design of this helmet. Four plates form an ornate crown above the styled eye opening. Rivets and detailed edging contribute to the medieval theme. Riveted holes line the mouth and earpieces. A flexible plate provides coverage in the back. 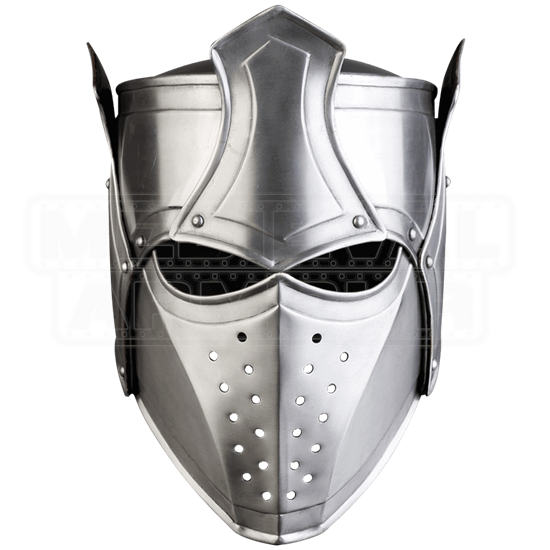 Set yourself as the royal protector of the kingdom, while donning this great helmet. 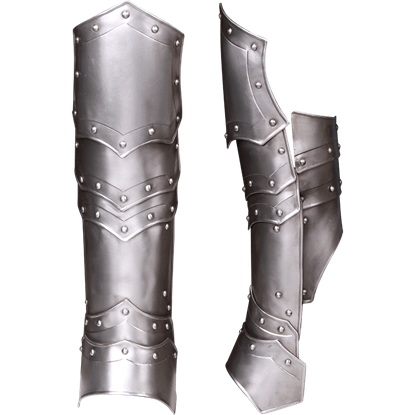 Protect your mobility by making the Steel Vladimir Greaves a regular part of your medieval warrior ensemble. 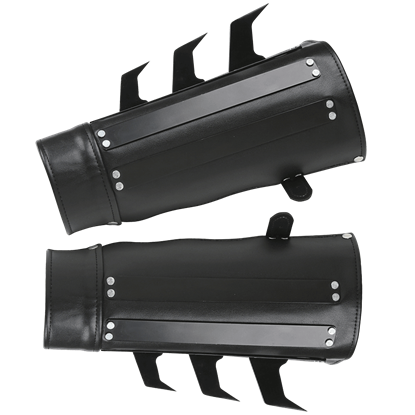 The steel greaves are composed of multiple curved metal segments, including a piece that can be closed around the calf.